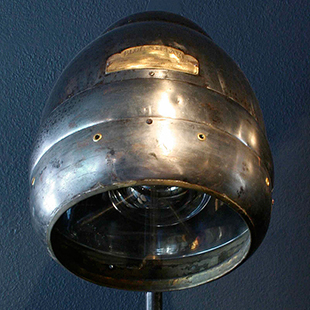 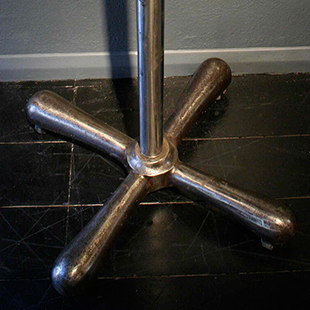 Early 20th century converted American hair dryer floor lamp. 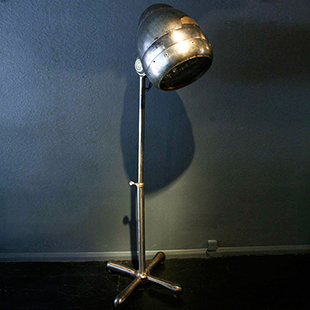 Brushed steel with brass details. 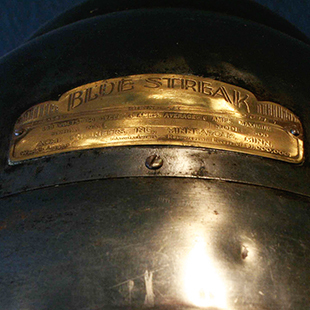 Blue Streak, Made in Minneapolis on the brass plaque.